Whether slathered with mouthwatering homemade spreads or savored just as they are, muffins and biscuits are comfort food at its finest. This follow-up to the successful Grilled Cheese Kitchen features 50 recipes for tender-on-the-inside, crunchy-on-the-outside biscuits and melt-in-your-mouth muffins as well as an irresistible assortment of flavored butters, sauces, and preserves. Featuring sweet and savory varieties and exciting new flavor combinations-think Quinoa Muffins with Cheddar, Apples, and Rosemary or Orange Zest, Ham, and Thyme Biscuits-bakers of all skill levels will delight in these fresh twists on classic treats. 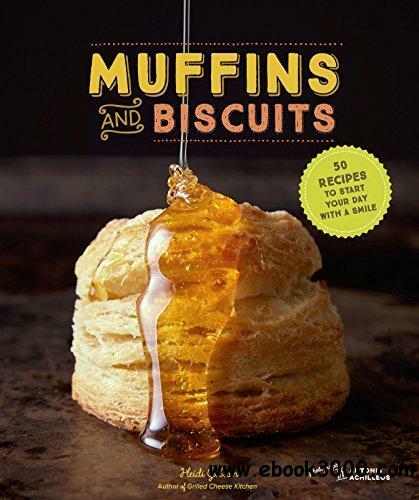 Packed with tips and tricks, from making delectable pancakes with muffin batter to turning leftover biscuits into bread pudding, this collection of recipes takes time-tested breakfast favorites to an entirely new level of deliciousness.